After going through the crying and pain of your baby’s teething, it feels like you have some time to relax. Remember that the 2 year molars are not far behind. Between your child’s first and third birthday, there will be eight molars that push through his gums. As any parent will tell you, this can be a challenging experience. Unlike the small incisors that so recently made your baby’s life miserable, the new molars will cause more pain as they come in. It is normal for your child to be irritable, agitated or in pain during teething. While some children will put anything in their mouth to stop the pain, other children will appear to be relatively unaffected. Keep a close on your child to make sure that they do not put anything into their mouth that they should not. When Will the 2 Year Molars Appear? For most babies, the 2 year molars will actually appear around 12 to 18 months in age. While at least one will pop p at this time, it may take longer for the rest of the molars to appear. The third and fourth molars generally start to emerge at about 20 to 30 months in age. The painful, pointed molars that cut through at about 16 to 20 months are most likely going to be the most painful that your child experiences. When Will Each Tooth Erupt? Why Are Two Year Molars So Painful? Two year molars can vary in pain from baby to baby. Fortunately, emerging teeth are not going to make your child ill. The only difference is that your baby may be more irritable than they normally would be as the teeth slowly start to push through the gums. At this time, sucking on anything can end up causing pain. This may make bottle-feeding or breastfeeding painful for the baby. If the pain is significant, you child may have problems falling asleep. If you cannot get your child to drink normally because of the pain, switching to a cup will ensure that they are still consuming enough liquid. Will My Child Get Sick? In most cases, your child will not become sick when their two year molars are growing. Keep in mind that this does not mean that your child is not sick. At this age, there are many common infections and colds that your child may get. Pay attention to the symptoms to figure out if your toddler has pain from the molars, an ear infection, urinary tract infection, cough or cold. If your child has symptoms that are not just problems with chewing or sucking on things, you need to take him or her to a doctor because they may have a different problem. What Can I Do to Reduce My Baby’s Pain? Use Teething Gel: Try rubbing some teething gel onto your child’s gums. The relief only works as long as the teething gel is still present, but temporary relief is better than nothing. If possible, try to keep your child from licking off the teething gel. Find Something Cool: Teething rings can leak because your child already has teeth. Instead, give the child raw fruits and vegetables that have already been cooled off. You can also give your baby a cooled piece of bread or a bagel. While this can help with the pain, make sure that your child does not accidentally choke on it. Visit Your Doctor: If your child is having a particularly painful experience, ask your doctor for help. Paracetamol is prescribed in extreme situations, but it can ease the pain. Only resort to medication if it is absolutely necessary. 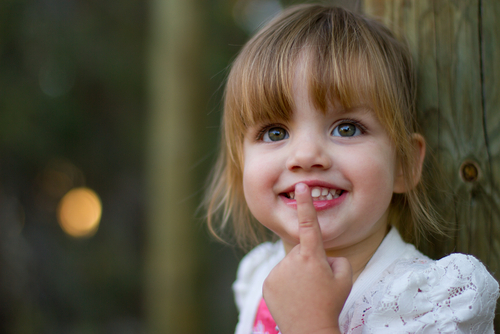 Most children do not need to see a doctor about their two year molars. Often, extreme symptoms are a sign that the child is infected with a cold or there is some other problem. While teething symptoms can vary from baby to baby, these are some of the signs that you can watch out for. Your child seems abnormally sleepy and lethargic. If this is the case, it is probably something other than the two year molars and you should see your doctor. If your child’s fever reaches 101 degrees Fahrenheit, they should see the doctor. Any fever that cannot be brought under control using proper medication is a sign that something more serious could be wrong. Make sure to go to your doctor right away. It is not normal for your child to have bloody or watery diarrhea. In addition, this is not a symptom of the two year molars. Something else is wrong, and you need to visit the doctor with your child. The teething gel you use or the infant paracetamol are not taking effect. Visit your doctor to find alternatives and figure out why pain relief medication is not working properly. If symptoms of teething last for more than three days, you need to go to the doctor. If you notice that your baby is in severe pain even when they are not actually chewing or sucking on anything, you need to go to the doctor. Vomiting is not a normal symptom of a teething child. Go to the doctor right away. Normally, each tooth will only cause pain for the first three to five days. Afterward, the pain should subside. In the meantime, keep an eye on your child’s symptoms and be as patient as possible. If your child does experience any other symptoms that are not associated with teething or you are worried about the pain they do experience, make sure to go to your doctor. Your doctor may be able to offer extra insight or advice for helping your baby get through the teething experience.